If you’ve suffered from blackheads, then it’s likely that you are fighting a recurring battle. Just when you thought you have won the fight and the pesky blackheads appear in even larger numbers! Well, if that’s you, then you don’t need to worry since there are several tested and proven methods that you can apply to eradicate the menace completely. We’ve candidly elaborated the best treatment techniques for you. Blackheads on your skin invite numerous suggestions on how you can eliminate them. You need to be careful on the method you adopt since not all of the suggested techniques will work well with your skin! Never use a treatment strategy unless you’re sure about it! Remember to always seek professional advice about a treatment strategy you are not sure about to avoid complications. We appreciate the desperation you’re in as you try to eliminate the pesky blackheads entirely, but you should take time and identify the best strategy for you! 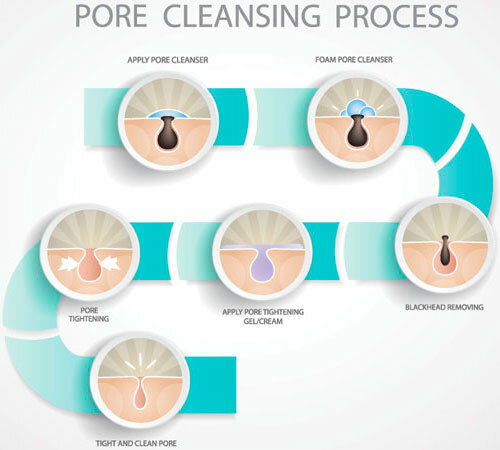 We endeavored to help you out of the confusion associated with the selection of a blackhead elimination strategy by gathering the best treatment tactics suggested by professionals. Best Spa Treatment. Visiting a spa can boost your efforts to eradicate blackheads two folds! You just need to make an appointment with your nearest spa and express your desire to do away with the menace. The specialists will evaluate your situation and use the most appropriate treatment strategy. They will choose from the many methods including microdermabrasion, nano-ray laser skin resurfacing, mix to CO2 treatment, and other facial treatments. Based on the ease of use and longevity of the results, the use of laser rays is the best treatment method. It utilizes 10-15 minutes to remove the dead skin and the results are long-lasting! Best OTC blackhead treatment. You may obtain some blackhead-elimination products over the counter if your condition is not severe. These products come in different formulations including pills, creams, gels, and masks. Before settling for a product, you should carefully read the labels for active ingredients and ensure that your skin is not allergic to any of them. Also, be keen to note the side effects of the product to determine whether it’s ideal for your use. Retinol products. There are several brands of retinol-based products that you can choose from. Make sure to start with the mild forms and observe the changes. If it is not working, you may proceed and use higher concentrations for the best results. Retinol products include RoC night acne cream, La Roche-Posay Redermic cream, and Keeva Retinol-based Cream. These products help in regenerating your skin and eradicating both the whiteheads and the blackheads. Products with salicylic acid/ Benzoyl Peroxide. 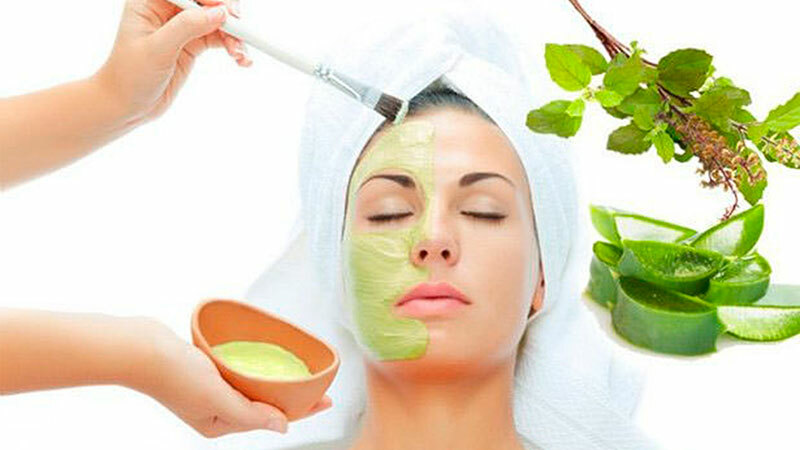 The products come in different formulations including masks and creams. Once you apply them, they will eliminate the acne-causing bacteria giving you a blemish-free skin. Natural Blackhead Treatment. There are several home remedies that you can apply to stop the spread of the menace. You can use products at home to make a mask which will be instrumental in eradicating blackheads. These products include lemon juice, cucumber, honey, baking soda, coconut oil, and avocado. When using these treatment strategies, you should first ensure that you clean your face with warm water to open skin pores which enhances the blackhead removal process. Immediately after washing the face, you should generously apply the substances on the skin and let them rest for 30 minutes then rinse them off with plenty of clean water. For infected blackheads. When the blackheads are infected, it is crucial that you use antimicrobial substances to get rid of the infection. Some of the molecules that you can use include erythromycin, tetracycline, trimethoprim, and cotrimoxazole. These products are packaged into tablets, creams, and gels. If you are in doubt about the product to use, then make a point of consulting your dermatologist. Treatment for blackhead scars. If you mishandled the blackhead eradication techniques, it’s likely that you are struggling with the scars. You, however, shouldn’t worry because there are several astringent products that you can use to restore your complexion. Their treatment is the same regardless of whether they’re on your forehead, chin, chest, or on the back. However, if your problem is also on your inner thighs, you should be gentler since the skin’s sensitivity on this part is akin to that of a baby. You’ll need to use cortisone creams as well as products containing glycolic and salicylic acid. If you want to do it at home, you can regularly exfoliate your skin using baking soda, honey, lemon juice, and salt scrubber. Also, regularly wash your face with essential oils with astringent properties including coconut oil, jojoba oil, tea tree oil, and lavender oil. Having a blackhead on the nose will cause you immense discomfort and pain! As such, you should initiate immediate measures to eliminate the pesky blackheads and restore your self-esteem. Exfoliate twice a week. You’ll need to keep the nose clean to ensure there is no chance of blackhead recurrence. You can use an enzyme cleanser or a glycolic peel if the situation is severe. Also, you may opt to apply a mixture of baking soda and apple cider vinegar in scrubbing off dead skin. ACV has strong astringent and antibacterial properties that will eliminate the blackheads fast. Other substances that you can use to exfoliate your nose include oatmeal and sugar scrubs. Use natural masks. You should use an overnight remedy such as clay mask. Once you apply the clay mask, allow it to settle for a whole night and wash it off the following morning. Ensure that you consistently repeat this procedure to achieve maximum results. Egg whites can also be helpful in fighting the blackheads. However, you should only allow them to rest on the nose for a maximum of 20 minutes after which you wash it off with water. Read more on how to get rid of blackhead on the nose here. Seek the help of an esthetician. If you’re not sure about your condition, you can consult a professional who will offer spa or cosmetic treatment to remove the blackheads. The best treatment option should do away with the blackheads fast while eliminating any chance of recurrence. Also, it’s crucial to determine the safety levels of the specific method. With these considerations, we recommend that you use natural methods in making the scrubs and the masks which will be helpful in the exfoliation process. This approach guarantees ease-of-use, safety, and efficiency. Seeking the opinion of a dermatologist is crucial when dealing with skin conditions. We’ve compiled a list of tips that these professionals recommend when you’re trying to keep blackheads at bay. Cleanliness is Key! If you fail to maintain a high level of skin hygiene, every method that you try will fail. While it’s not true that these blackheads are solely caused by low hygiene levels, their elimination success depends on your ability to keep your skin clean. You should regularly exfoliate the skin to get rid of dead cells and dirt and cinsequently open up the skin pores which is necessary in eliminating blackheads. Never gamble with your face! Dermatologists recommend that you use products that have worked on your face previously or those that can work with any type of skin. There are myriad cosmetic products and other blackhead elimination options to select from. However, you should never try products before knowing your skin type! Ensure that the product you pick has clearly written labels on the ideal skin type for the product. Only use those products that are compatible with your skin type. If in doubt, you shouldn’t hesitate to consult a dermatologist. Ensure Consistency! Most people fail to realize results due to inconsistency in applying various blackhead elimination methods. If you choose a method, you should follow the recommended routine religiously until you achieve the desired results. In case one method does not work, avoid switching to another before consulting a professional since some products may have severe interactions. Avoid further infections. You should avoid touching the blackheads with your hands since it can lead to more infections. Instead, use disinfected blackhead removal tools only if you know how to use them. Don’t overuse blackhead strips. While these products work, their overuse can lead to overproduction of oil which may accelerate your problem! Having blackheads is not the end of the road for you! There are numerous treatment methods that you can adopt to eliminate them for good. When selecting the ideal method, ensure that you check its compatibility with your skin type.